Ambitex® Adult Wipes are ideal for quickly cleaning up surfaces, handles, railings and other germ-infested areas. Freshens up skin when conventional washing is not feasible or convenient. It contains skin-soothing and moisturizing aloe, lanolin and vitamin E. The Individual wipes are disposable to lower the potential for cross contamination and to eliminate the need for messy linen washcloths or towels. These wipes are pre-moistened and unscented to clean and refresh quickly and easily. Freshens up skin when conventional washing is not feasible or convenient. Individual wipes lower the potential for cross contamination. Pre-moistened and unscented to clean and refresh quickly and easily. Alcohol-free to keep skin supple and moisturized. Ideal for quickly cleaning up surfaces, handles, railings and other germ-infested areas. 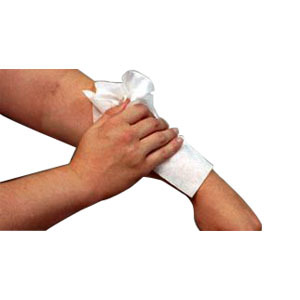 Disposable to eliminate the need for messy linen washcloths or towels. Contains skin-soothing and moisturizing aloe and lanolin.